Thanks to generous benefactors, Dairy Futures has established a wholly owned trading subsidiary, the Dairy Futures Loan Company. Access to loans will only be via a referral from the Dairy Futures charity to the loan company. The key criteria for eligibility for a loan will be that sufficient capital is not available from other sources and this is the limiting factor to the success of the person(s) applying and their plans. In practice, this will be additional to money that can be secured from the commercial marketplace and not instead of. A referral to the loan company is not a guarantee of a loan being made, as any loan will be subject to a formal contract being agreed and the fund available to make loans in each year will be limited. The legal basis of any loan will be a personal loan to the individual for business purposes, as will be outlined in the contract. A draft copy of a contract will be made available post-referral from the charity. Loans will be between £25,000 and £100,000 and for a maximum period of up to 10 years, but the aim will be for as short a term as seems necessary, according to the business plan and the Directors of the loan company. Loans will typically be offered for financing breeding stock (including cows in milk), parlours, sheds, and feed or slurry storage, but not for purchase of machinery or vehicles. Interest will be charged at a modest commercial rate. The Directors can determine changes to the interest rate in accordance with the terms of an agreement, but typically the level will be variable and at 4.5% above base rate. Charging interest will allow inflationary increases to the loan fund, so that it can continue to help applicants in the long term, as well as covering the running costs of the loan company and being able to assist with the running costs of the charitable work of Dairy Futures. Loans will be made as a single lump sum, the initial term set will not be extendable. Repayments are to be made monthly. Applicants will one be able to receive one loan in their lifetime. The applicants will need to bear their own solicitor's costs on the loan agreement of securing personal guarantees required by the loan company. 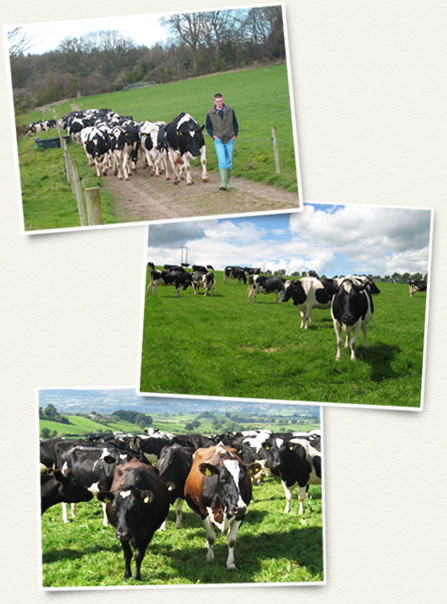 Dairy Futures Loan Company Ltd (company number 8403789) is a wholly owned subsidiary of Dairy Futures.